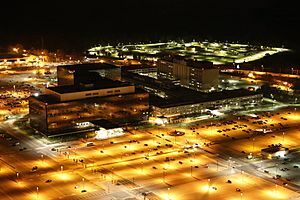 The National Security Agency (NSA) is a part of the United States government. It was started in 1952, and the main office is in Maryland, USA. Round the world "eavesdropping". This means that they listen to what people are saying in other countries, without letting them know that they are listening. They monitor, collect, decode, translate and analyse information and data. This is known as signals intelligence (SIGINT). 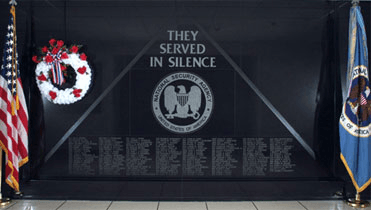 NSA also protects the U.S. from evesdropping and SIGINT spying by foreign governments and agencies. This is protection against "penetration and network warfare". The agency does this by clandestine means, among which are bugging electronic systems, and sabotaging their computer networks with viral software. National Security Agency Facts for Kids. Kiddle Encyclopedia.